If, like my wife and I, whenever you go on extended cycle camping trips, the two things you miss most are a decent pillow and a chair to sit on. We solved the pillow problem last year by buying a Thermarest compressible pillow. This year, just before we were going on a 3-week cycle camping trip to Brittany, France, we came across the answer to the chair problem on the TravellingTwo website (http://travellingtwo.com/). 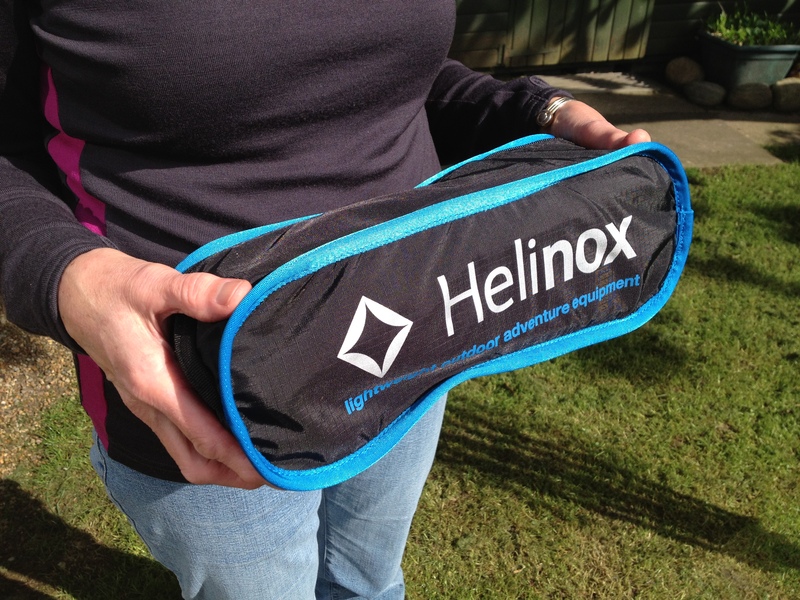 They had just placed an order for two Helinox lightweight camping chairs. Although not cheap, these seemed ideal. 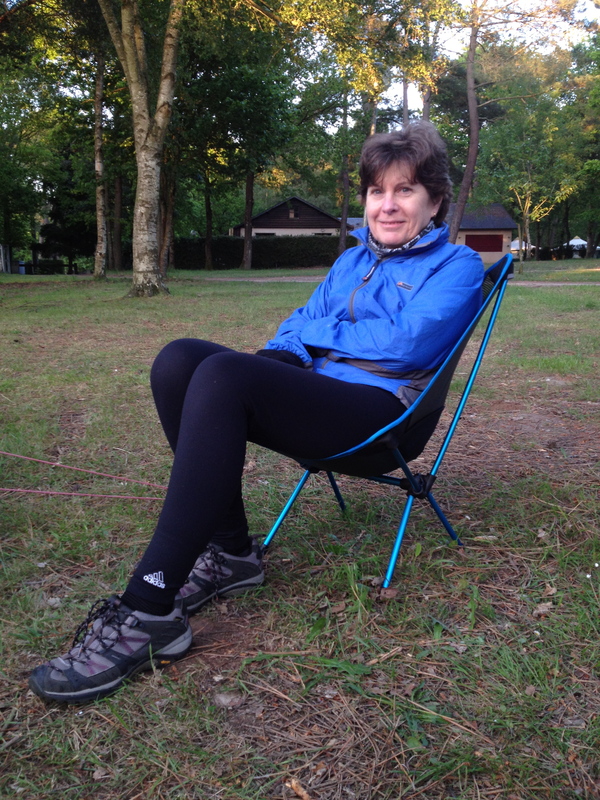 We immediately looked online to find a UK outlet (http://www.ultralightoutdoorgear.co.uk/helinox_chair_one.html) and placed our order. These chairs are fantastic and we’re so pleased with them. Time will tell to see how they stand up to the rigours of cycle camping but they appear to be very well made. When packed, the chairs are approx. 35 cm long by 13 cm deep by 11 cm high, so they fit snugly into the bottom of our panniers. The chair weighs (on our home scales) 873 g and the bag weighs 83 g. One thing that occurred to us before we went away was how to solve the problem of that sinking feeling, when the chair legs slowly subside into soft ground! 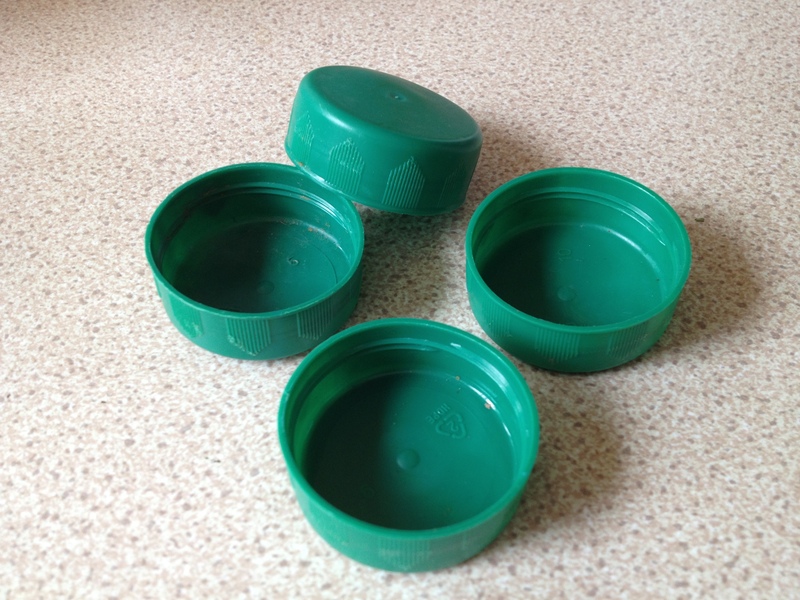 I had a flash of inspiration and we spent the next few weeks saving the caps off 2-litre plastic milk containers. By placing one of these under each chair leg, the problem was solved! We found the chairs to be very comfortable and supportive and they were just the right height to be able to sit in and do the cooking or, at the end of a day’s hard cycling, sitting back in the warm evening sunshine sipping a glass of red wine! Heaven!! Some people may baulk at carrying the extra weight, but when you get to a ‘certain age’ a little bit of comfort is well worth those few extra grammes! Categories: Bike, Camping, Cycle touring, cycling, France, Mike McEnnerney, photographer, Photography, PhotoLink Images, Tourism, Travel | Tags: Camping, Chair One, Cycle Camping, Cycle touring, Cycling, Helinox, Helinox Chair One, Lightweight, Travel | Permalink. Great to see another posting!! The supplier is currently out of stock of this chair but is expecting a new delivery sometime over the next couple of weeks. My own order has been placed. Yep, thought it was about time to post another blog! I’ve now done two in one day…whatever next! Blogs on our trip will follow soon. 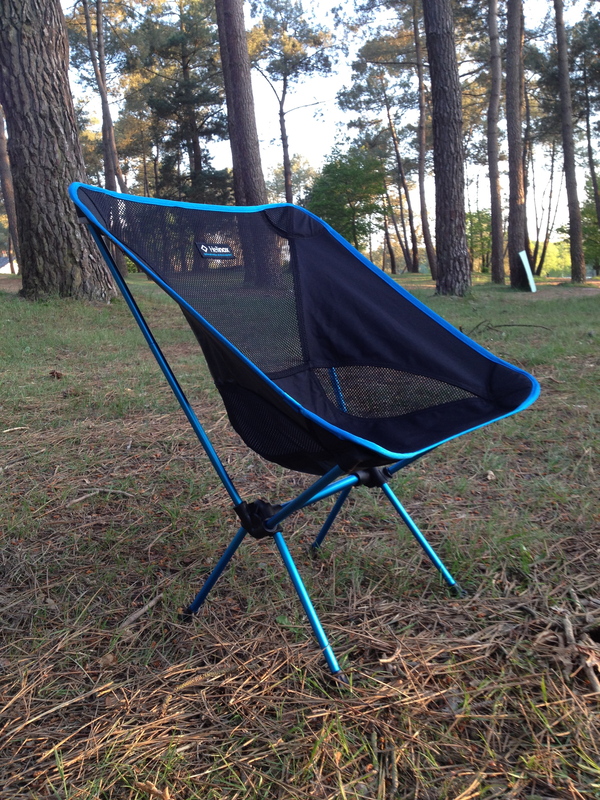 I love the Helinox chair. I am 58 years old and need some comfort on my travels !!! Yes, you need that extra bit of comfort as you get a little bit older! 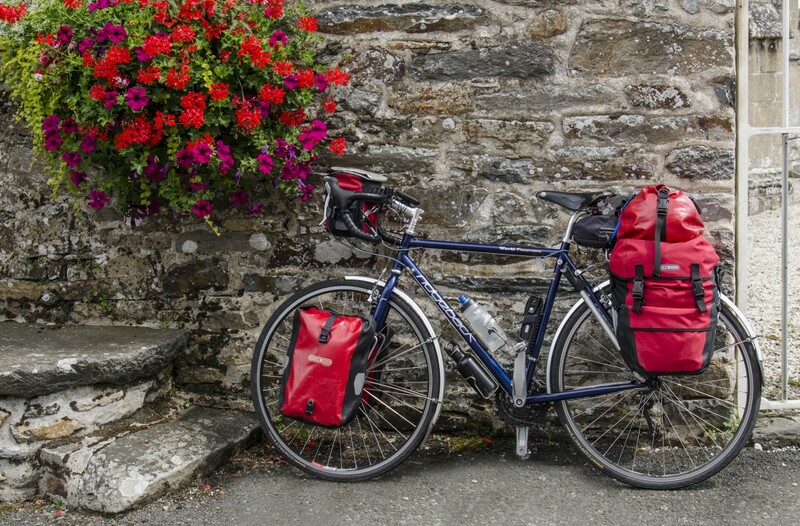 Thanks for the review – have been trawling the internet for a long time for something better than our 3-legged camping stools for cycle-touring . . . . . . . the old bones in need of a bit more TLC than being perched on a stool. Glad we could be of help, Heather. We’re very pleased with our chairs – although a little expensive, they are worth their weight in gold. It’s so nice to have something comfortable to sit on and lean back in at the end of a hard day’s cycling, especially when you are of a certain age, like what we are!!! Just back from a 97 day tour with these chairs. They have been fabulous. We used them every day and they show no signs of failure, just a bit grubby. For us it was well worth carrying the extra weight. It’s good to hear that they stood up to the rigours of a longer tour. I agree with you that it’s well worth carrying the extra weight for that extra bit of comfort at the end of the day! Where did you go on your tour? Do you plan to write a blog? If so, I would be interested to read it. As this was our first proper tour we played fairly safe and stayed in France. We did a blog of sorts as we went along and I’ve added some photos to it now. Hi Mike! Thanks for the review, we’ll definitely be investing on our next cycle-camping trip. And the milk cap trick is a great one, but just as a reference, how much do they measure?… (We live in Germany and don’t have 2-litre containers! :P) Thanks! They measure 4cm across x 1.5cm deep.